What does carpal tunnel surgery entail? There are two variations of carpal tunnel surgery—open release versus endoscopic release. 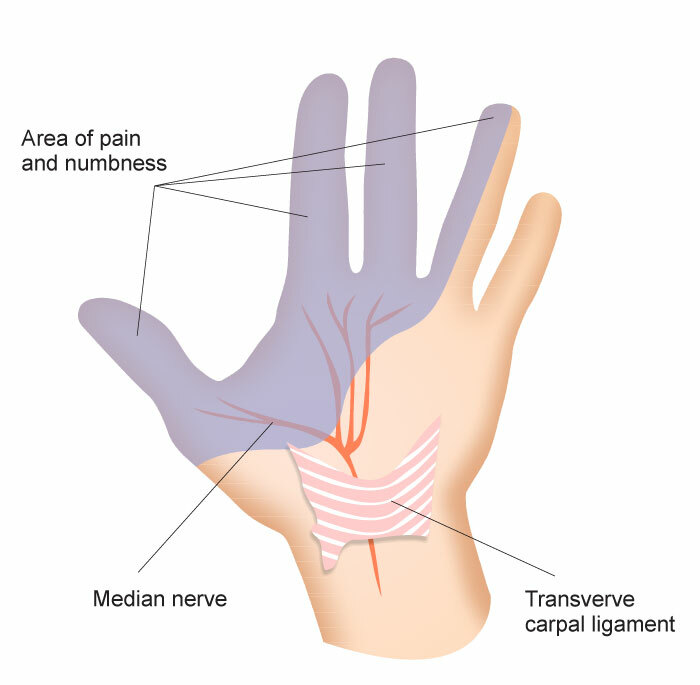 They both accomplish the same thing--the ligament that forms the roof of the carpal tunnel is divided, which in turn gives the median nerve more space thereby relieving the pressure on the nerve. When I perform an open carpal tunnel release I make a small incision in the palm that is about an inch long and divide the ligament that is the roof of the carpal tunnel. 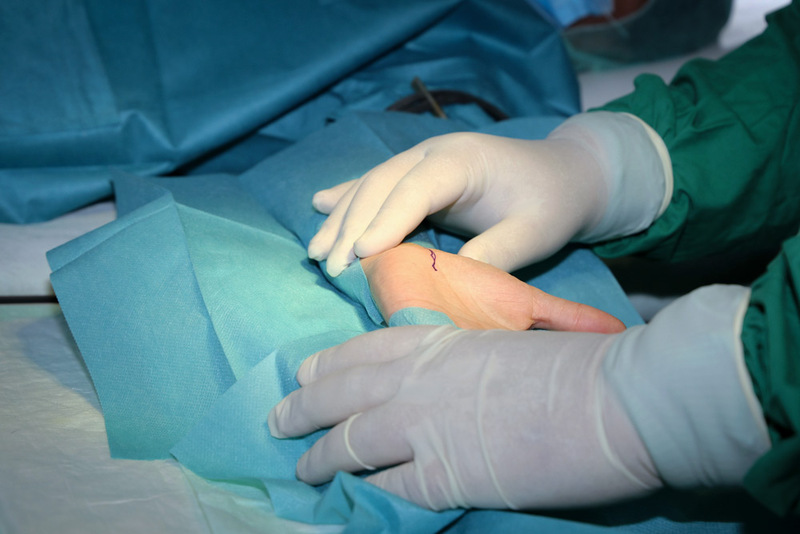 The benefits to doing an open surgery is that it is slightly safer, but the downside is that the incision is in the palm, which makes the recovery process slightly longer. In an endoscopic carpal tunnel release I make a small incision at the base of the wrist and then use a special camera, instruments, and knife to divide the ligament that forms the roof of the carpal tunnel. The benefits of endoscopic release are a quicker recovery, but there is a slightly higher risk of complications. I don’t have a strong bias one way or the other on how the surgery is performed. I am well trained and have ample experience in providing both surgeries. I'll have a discussion with the patient before surgery and we'll make the decision together about which surgery will be performed. What is the recovery process from carpal tunnel surgery like? Both types of carpal tunnel surgery are performed on an outpatient basis, meaning that the patient returns home within a few hours of the procedure. After surgery is completed, the patient is discharged home with only a soft dressing that is removed 2-3 days after surgery and the incision is covered with a band-aid. I encourage patients to begin making a full fist immediately after surgery. There are no restrictions for most types of work, other than if a patient performs manual labor. If a patient’s job involves manual labor, I want the incision to be completely healed before resuming work. If a patient attempts to return to manual labor too early, it can cause them pain and significant discomfort. Generally speaking, I tell patients to plan on a few days to 2 weeks away from work. This is once again dependent upon what type of work they do--manual labor is not the same as clerical work. What kind of outcome can I hope for from carpal tunnel release? Carpal tunnel surgery is one of the most successful surgeries across all surgical disciplines. The pain that people are experiencing prior to surgery is gone immediately. They do have pain from the incision, but this is a different type of pain. I often have patients tell me that for the first time in months, or even years, they actually slept through the night after surgery. Numbness and tingling can take weeks to months to disappear. If the patient had very dense numbness for many years it may never go away completely, but it will improve. Also, weakness takes months to improve. Generally speaking, nearly all patients make a full recovery, but this is dependent on the severity of the problem before surgery. Surgery is likely a lifetime cure, but some people do have a recurrence of symptoms years into the future, which can be effectively dealt with. 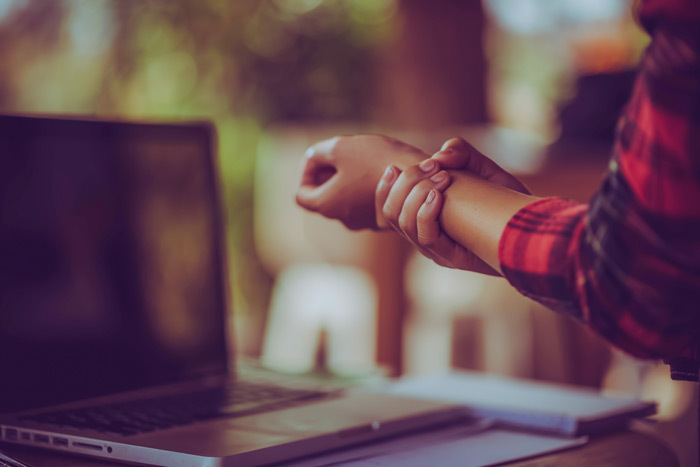 If I am concerned that I have carpal tunnel syndrome what should I do? I would encourage you to make an appointment to see me. I will visit with you about your symptoms and examine you and then make recommendations based on what I see. We will have a discussion about what course of treatment you want to pursue based on my findings and recommendations. My goal is to help you feel better and to have a more productive life however that is accomplished.